We’re gearing up for our conservatory open house on September 6 and wanted to share the excitement! Read on for ten ways the conservatory can meet your needs and passions. Then email education@thehanovertheatre.org or call Kelly at 508.471.1765 to RSVP for our open house. With offerings for aspiring artists of all ages, you’ll be sure to find a class that piques your interest. From Shakespeare or stage combat to stage makeup or sound design, you have the opportunity to discover brand-new passions. 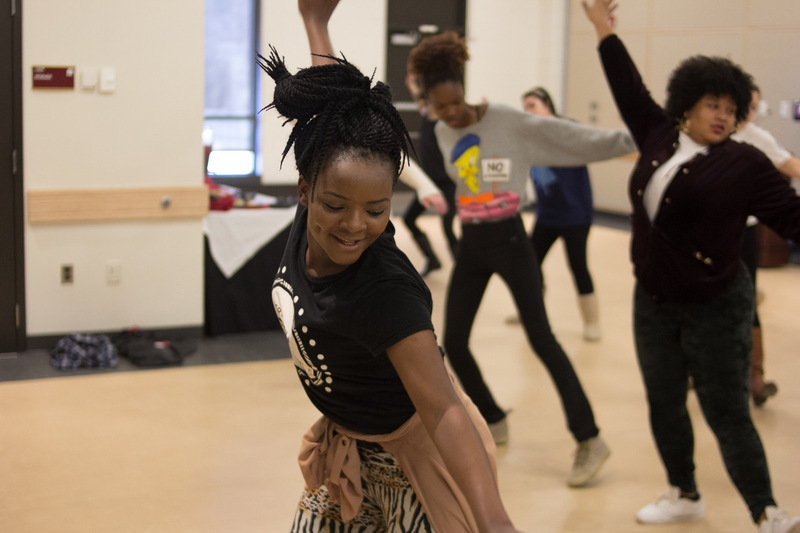 We even offer classes in African drumming and dance! 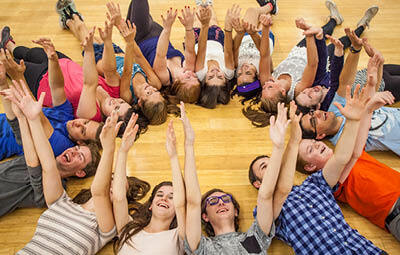 The Hanover Theatre conservatory offers classes at every skill level. Whether you have acted in dozens of plays, but want to brush up on your skills, or you want to learn about costume design, but have never picked up a needle, we’ll meet you at you there. 3) Work with a distinguished faculty. Our staff has worked at the top of their respective fields and are passionate about inspiring personal growth and artistic expression in their students. Our studios are equipped with sprung, hardwood floors, ballet barres and mirrors, making it the perfect place for dance, acting and movement classes. In addition, our tech and costume labs are well-equipped for advanced education in stage craft and design. 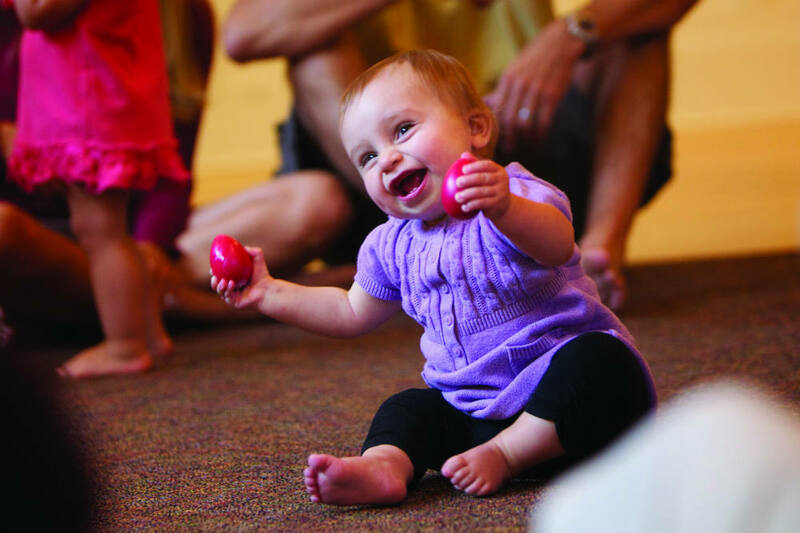 Try one of our classes tailor-made for infants to third grade and their caregivers, from Music Together to Mommy and Me Dance or Imaginative Play. Dream of working on Broadway? Take the first step to making those dreams come true. Our classes provide you with a strong, technical foundation in everything from directing and playwriting to performance and backstage work. We also offer college audition prep classes for actors and YAGP competition prep for aspiring dancers. Take a moment away from school or work. A performing arts or technical design class could be the break you need. Putting your energy into a fun activity will help you feel relaxed and refreshed. Performing for an audience or sharing your work with your peers in a supportive environment allows you to become more comfortable with yourself and with other people, a skill that is easily applicable to other aspects of your life. A conservatory class is the perfect environment to make lifelong friendships with other people who share your appreciation for the performing arts. See what you’ve learned put into practice on the stage! We make it easy for you to see our Broadway shows, concerts and other events. What classes do you hope to see offered at our conservatory? This entry was posted in Conservatory, Features. Bookmark the permalink. how can you not love reasons 7 8 & 9?